Na's tomato plants are flowering...I find the blooms to be elegant. Ray: Na does good in the garden, Larry. Tomatoes are really beautiful plants, beginning to end. These look lovely and healthy! Ray: I do agree with your assertion, Elizabeth. Ray: Some things grow strongly, but other things don't grow at all, Lisl. The season of show-n-tell. YAY! Ray: Na has a great garden this year, Ginnie. Très jolies photos. Tu as bien pris l'évolution de la fleur jusqu'au fruit. Ray: C'est très attrayant pour moi, Martine. Ray: Je trouve que beaucoup de fleurs dans le potager sont les plus attrayantes, Claudine. Ray: Tomatoes do grow strongly here, Chris. Beautiful little flowers indeed. Soon the family will taste Na's tomatoes. Ray: We don't use insecticides in the garden , Louis, so are hoping there will be some for us. Nothing quite like a freshly picked tomato. Ray: This is true, Bill. These are going to be Toms I think. Ray: Tom had better keep his veggie stealing fingers off them, Chad! 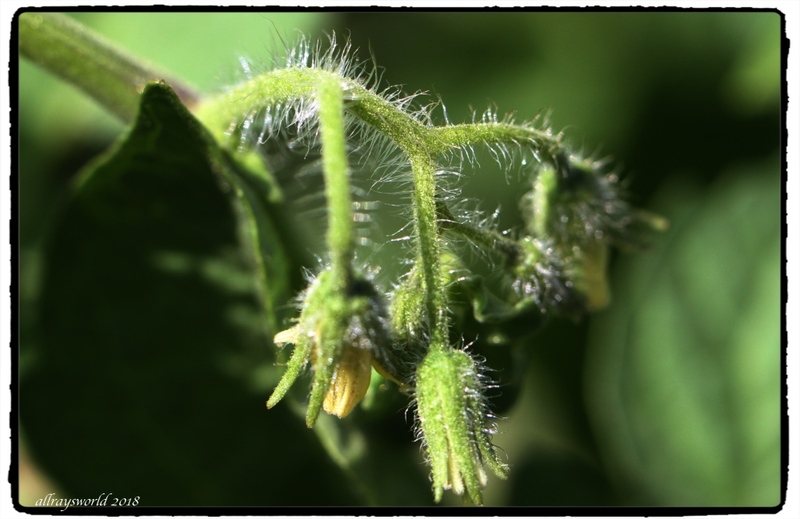 A fine series of shots, I've always thought Tomato plants produce quite pretty flowers. I love the smell of tomato plants but others find them very strong. I like how the flowers resemble others in the family. Don't you just love it. 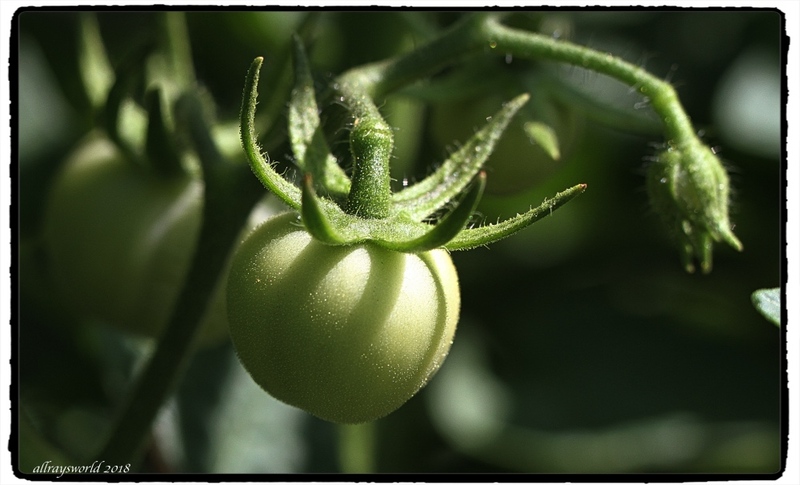 Vegetable growing and fruit-growing is fascinating. The wonders of Nature. They are indeed - lovely smell too from the leaves. Yes, me too. I also like the very hairy stem.